Atlantis: The Lost Tales will take you on a fantasy adventure centred on the lost city of Atlantis. The game is the first in a long series of adventure games with a similar theme. Atlantis: The Lost Tales follows the story of Seth who has recently joined the Queen’s Companions which are the personal protective service to the Queen of Atlantis. After the disappearance of the Queen Seth takes it upon himself to investigate this mystery which is when he uncovers a greater plot. This plot leads him to the leader of the Queen’s Companions (Creon) who intends to use an ancient power to conquer the world with a newly developed weapon. In order to stop Creon players have to adventure outside of Atlantis and find the light equivalent to Creon’s ancient power. 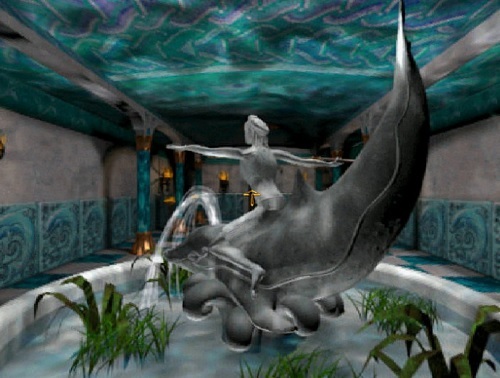 Atlantis: The Lost Tales uses a first person perspective for gameplay and pairs it with impressive 3D graphics (for its time anyway). This first person gameplay requires players to move around each environment and select items or objects to interact with that fall within the player’s crosshair. Puzzles are at the heart of gameplay in Atlantis: The Lost Tales with plenty of variety to keep you moving forward through the game. The puzzles also slowly ramp up in difficulty so the early tutorial puzzles will pale in comparison to the more complex end game puzzles. 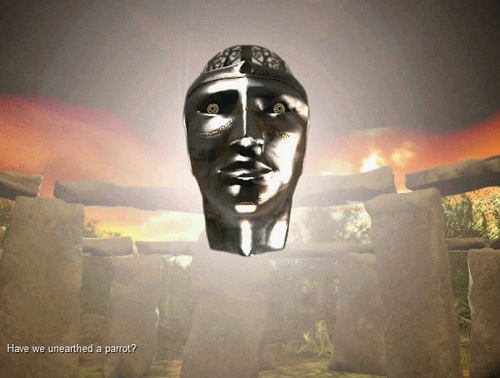 This well-paced increase in puzzle difficulty is often something that many puzzle games don’t quite achieve which leads to a frustrating and oddly paced experience. On top of puzzles the player will also have to occasionally react to events that take place on screen and if they aren’t quick enough they’ll find themselves captured by the guards or dead which will then restart the game from the last scene. A wonderful lost city setting. Unique story and adventure that is definitely worth experiencing. Good puzzle variety with well-paced difficulty jumps. Released in 1997 and started a successful series. Events keep you on your toes and require quick action or careful thinking. Awesome game in many ways. I’d love to see this game remade with the freedom of nowadays machines can give. I was really disappointed of the sequels, but still hope is alive for another good Atlantis game!